I haven’t experienced Japanese food or ambiance in my entire life. Because Japanese are known to eat raw, I’m afraid not to like the taste of there food. But one day, I thought of facing my fear. I wish there’s a place here in Metro were I can feel like I came to Japan itself. 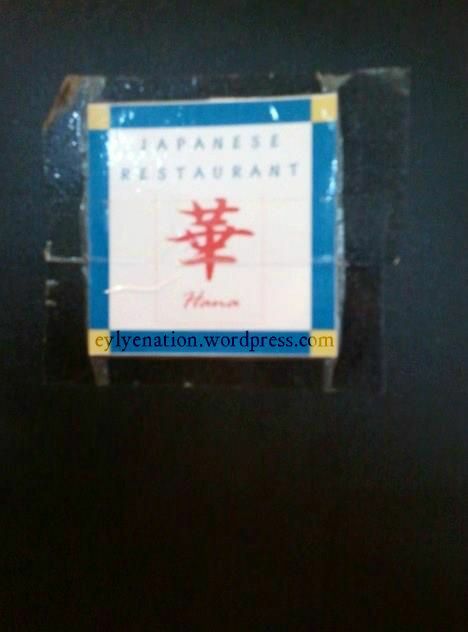 When me and my blogmates where looking for a place for our next articles all about Japanese, we found a place inside Makati City which is a compound of Japanese stores and restaurants. 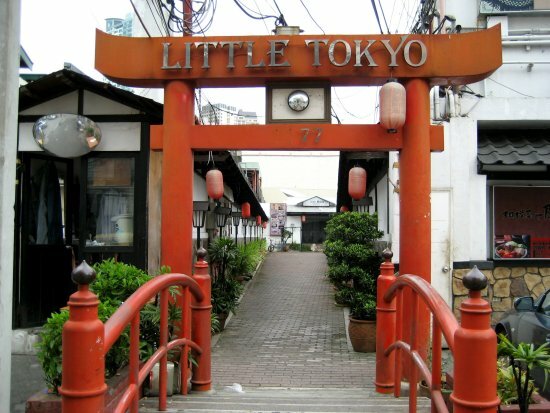 It is called LITTLE TOKYO. Once you get inside the compound, you can feel the Japanese ambiance from the zen garden, lanterns, small wooden tables, sushi bars, etc. We can’t feel the cold breeze of Tokyo because there is a humid weather in Manila but we get inside HANA Restaurant, we thought we were in Tokyo already. Because we’re all just starters, we tried the basic Japanese foods. We ordered sushi, noodles, takuyaki, and there dessert like a flavored snowball (sorry, I can’t remember what you call that dessert). As for the price, it’s a little bit pricey but when you taste their food, it will satisfy your cravings. There was a long list of Japanese food to try in the menu but we used to order the basics and thinking of coming back again in Little Tokyo. Since Japan is surrounded by ocean, seafood has always been widely consumed as well as rice. Originally, raw fish was fermented in salt to preserve it and eaten with seasoned rice. In Japanese cuisine, sushi indicates dishes that use sushi rice, which is seasoned with a sweet vinegar mixture. Although you can make sushi without using any fish/raw fish, many kinds of seafood are used in sushi dishes. 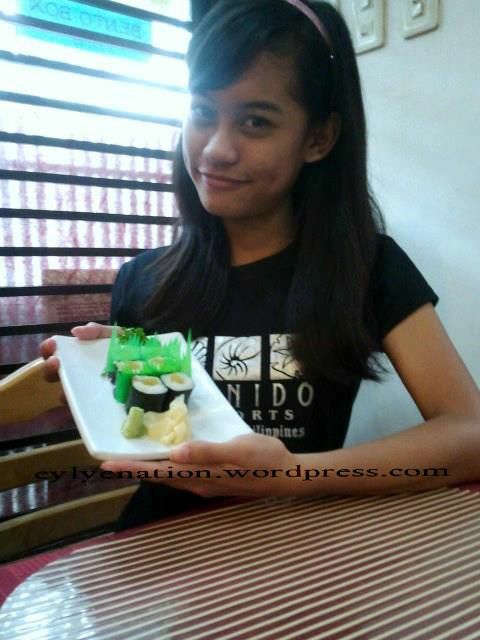 When we were in Little Tokyo in Makati, we ordered a sushi dish. I don’t know if the one we ordered was made of fish or raw fish since it doesn’t taste like a fish meat. The sushi was beautifully presented that it looks really tempting to eat. It was some kind of rice filled with something color yellow (that I don’t know what), and wrapped in a black sheet of seaweed? I’m not really sure what that black wrapper was called but I assumed it was a seaweed wrapper. 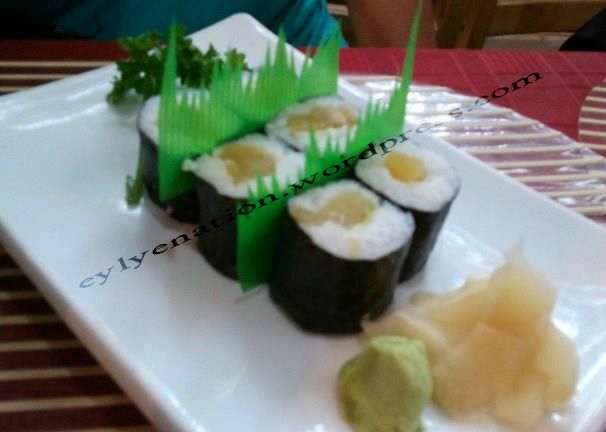 The sushi was served with wasabi as a side dish. For those 6 pieces of sushi, I may say that, that dish was quite expensive. However, if you intend to explore and eat some Japanese dish, you should not miss eating sushi.